AIDS is by far one one the most destructive pandemics in recent history. It has killed millions and millions of people since 1981; to be precise, it has killed twenty-five million people in-between 1981 and 2007, while approx 33.2 million still live with HIV as of 2007 onward. It has claimed approx two million lives in 2007, and the most alarming bit about the fact is that roughly 270,000 of them were just children. World AIDS day is observed December 1st each year. Its purpose is to spread awareness of the AIDS pandemic which is caused by the HIV infection. The date is also used to hold honor to persons who have suffered from AIDS – terminally. During World AIDS Day, it is also common for government and health officials to host forums on the relevant topic. This custom was initiated in 1995 when the US president announced the first official proclamation on World AIDS Day. World AIDS Day's first manifestation was held in August, 1987. It was conceived by Jame W. Bunn and Thomas Netter who were two public information officers for the Global Program on AIDS at the World Health Organization in Geneva, Switzerland. Dr. Mann found the concept appealing and suggested that the first date of World AIDS Day should be 1 December, 1988. In 1996, the joint UN program on HIV and AIDS (a.k.a. UNAIDS) took over the panning as well as promoting of world AIDS day. Ever since its inception and up until 2004, UNAIDS was responsible for assuming control over choosing annual themes for each even, in consultation with other world health organizations. 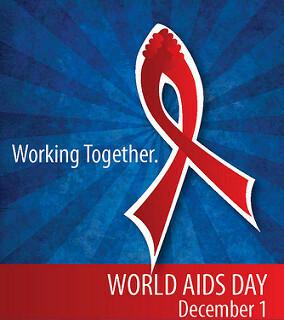 As of 2008, the day's theme was instead chosen by the World AIDS Campaign's Global Steering Committee. This is done after extensive consultation with the people as well as a variety of target groups such as organizations and government agencies which are involved in the prevention of AIDS. From 2005 through 2010, there was a single overarching theme ("Stop AIDS Keep the Promise"), with a number of sub-themes. The idea behind the main theme was to encourage political leaders to resume their commitment to this very important cause, which in particular means helping to provide for universal access to prevention, treatment, care and support (by 2010). It is also important to note that this theme is not only World AIDS Day-specific, but is rather used by WAC as an everyday reminder of the importance of this cause. WHO: Untreatable gonorrhea conquering the world!